A good old-fashioned cheating song, from the days when songs such as this were very much in fashion. 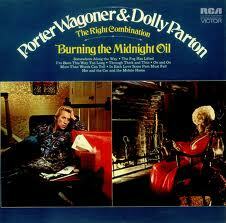 It’s not as interesting or deeply layered as Barbara Mandrell’s “The Midnight Oil”, released the following year. But it’s a more believable pairing than most of the duets they sent to radio in this time period.